We will practice calligraphy with traditional Japanese sumi ink and fude brushes on washi paper, suitable for beginners. 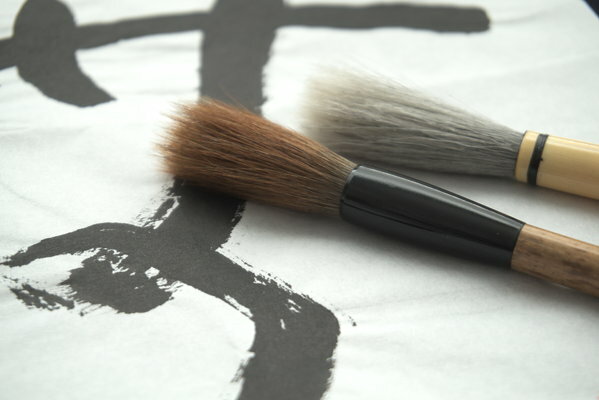 Beginning simply making marks with the ink, then working from inspiring Chinese and Japanese characters, relating to meditation, Buddhism or nature. This is a practice where we can enjoy using ink and brushes, and be immersed in the moment of drawing the character, embracing our imperfections and nurturing our creativity and expression. 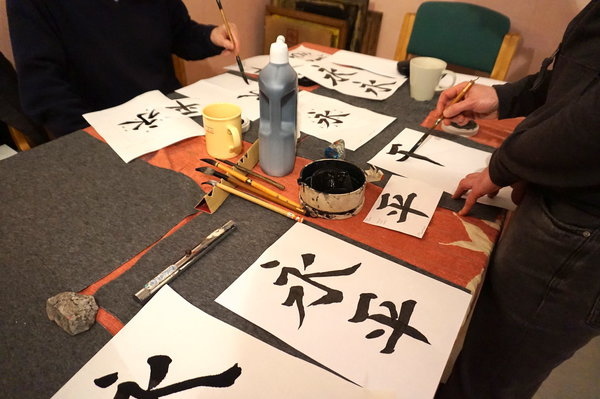 With demonstrations and friendly help from artist Blair Thomson, who is a member of Glasgow Zen Group and studied Sho and markmaking in Osawano, Japan with calligraphy Master Wakabayashi. Great for folk with an interest in Zen or Buddhism or in Japanese and Chinese arts, no previous experience is needed. Booking is not necessary and you can come early for a cup of tea, if you would like to find out more please contact us.